I’m super excited about this post!!! 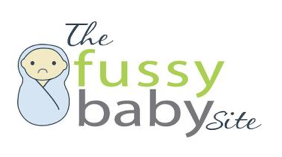 I’m regularly asked which products I recommend for fussy, colicky and high need babies and toddlers. As you may have noticed, there are many products that sound great…until you actually bring them home and try them. New products are constantly coming across my desk, and to be honest, I don’t give most a second look. Most baby products – even baby soothing products – don’t seem fast enough, loud enough or strong enough for our intense, persistent little kids. But as I’ve been hearing about new products, I’ve been taking notes. While I can’t vouch for any of these products personally, they were interesting and innovative enough that I felt they were worth mentioning! I would LOVE to hear if any of these have worked for you! *Please note: Some of the links below are affiliate links. This means I receive a small commission if you make a purchase after clicking through. The problem: Fussy or colicky newborns are often soothed by being placed on their tummies or in a side-lying position. This is particularly true of infants suffering with gas or reflux. However, most baby seats and bouncers only allow you to place your baby on his or her back. The solution: The Babocush addresses this issue by safely holding your baby in a tummy down position, all the while producing a gentle vibration and heartbeat sound. And the best part? 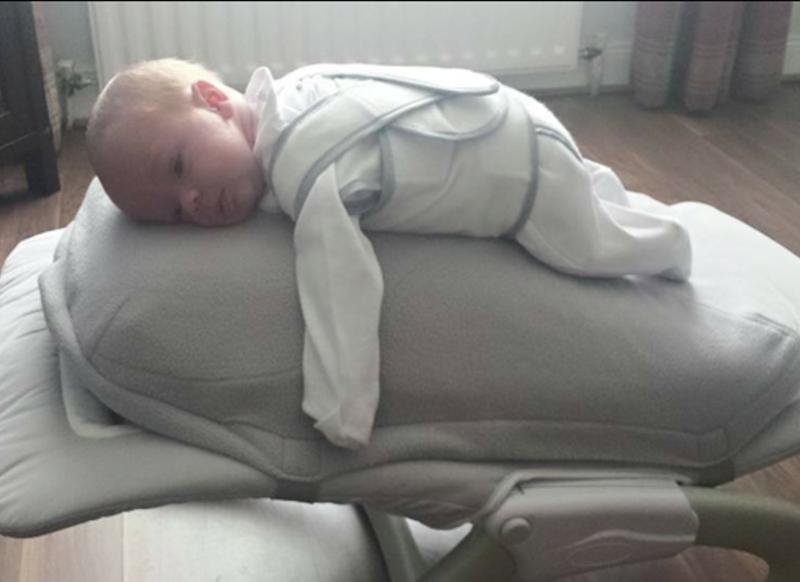 The Babocush can be attached to a bouncy seat or rocker for added movement and soothing. Personal thoughts: The inventor of this product, Kerry Nevins, emailed me to let me know about this product. I asked her some questions about it, and then started following Babocush on Facebook. I have been amazed at all the positive reviews the company is getting on Facebook! Keep in mind that you should never leave your baby unattended on the Babocush, and the company stresses that this is a soothing mechanism, not a sleep aid (“back to sleep”). Where to buy the Babocush: You can buy the Babocush on the company website. The problem: According to Dr. Harvey Karp, author of The Happiest Baby on the Block (a MUST-read if your little one has colic! ), newborns are in their “fourth trimester”. They are used to the feel and sounds of the womb, so may not sleep well on a cold, stationary crib mattress. Swings and rockers can be great to help mimic the movements of the womb, however they can be difficult to transport. 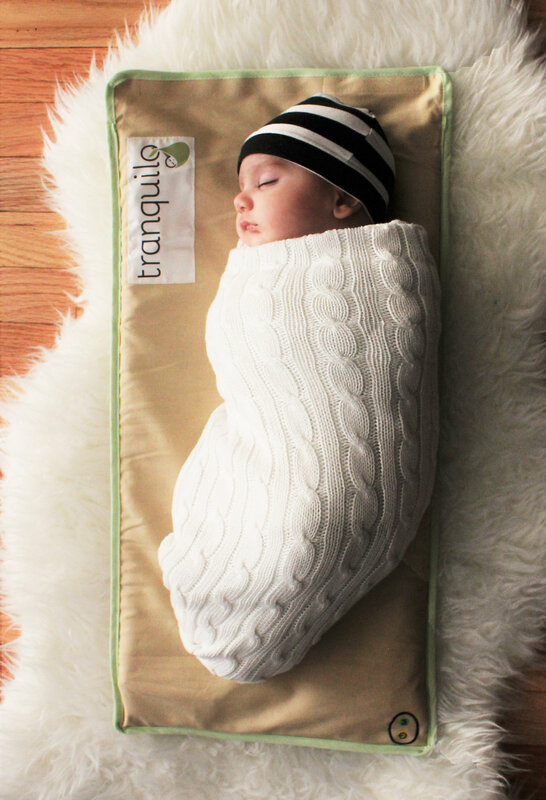 The solution: The tranquilomat is a lightweight, portable soothing option parents can use in swings, cribs, rockers, bouncy seats or on the floor to provide a gentle vibration and white noise for fussy babies. Personal thoughts: While my babies never tolerated those little vibrating bouncy seats, I like that you can use the tranquilomat in conjunction with other soothing products. In fact, you can even hold your baby while using it, or place it in or around your baby wrap or sling. Where to buy the Tranquilomat: You can buy the Tranquilomat on the company website, or on Amazon for around $10 more (with free shipping). The problem: The transition from swaddle to regular blanket or even sleep sack can be tricky for fussy babies. They may be too big for a swaddling blanket, yet are still being awakened regularly due to their startle reflex. The solution: The Baby Merlin Magic Sleepsuit helps bridge this uncomfortable transition as its 3 layers of fabric keep baby feeling cozy and contained. Unlike a blanket or sleep sack, the Magic Sleepsuit provides a cozy weighted sensation that muffles the startle reflex. Personal thoughts: I heard about this product through some of the parents in our private Facebook support group. Many have had good success using this during the transition out of swaddle, and from swing/Rock ‘n Play to crib. Where to buy the Baby Merlin Magic Sleep Suit: You can buy this product on the company website or on Amazon for the same price. The problem: Babies and toddlers love the feeling of having mom or dad nearby. They may fall asleep while being held or while you’re touching them, but as you move away or put them down, they wake up. The solution: The Zen Swaddle and Zen Sleep Sack mimic your touch with their lightly-weighted padding on the chest area. The Zen Swaddle lasts a little longer than most other swaddles (up to around 6 months), and you can then transition into the Zen Sleep Sack. Personal thoughts: I can’t imagine that this would magically solve a baby’s sleep problems, but I could see it being useful alongside other techniques or strategies. Where to buy the Zen Swaddle and Zen Sleep Sack: You can buy either of these products on the company website or on Amazon for the same price (Zen Swaddle and Zen Sleep Sac on Amazon). The problem: Your child wakes up screaming in the night, and you are unable to console or interact with him. You have figured out that he is likely suffering from night terrors. The solution: Based on your answers to 4 questions, the Lully Sleep Guardian is able to determine your child’s night terror pattern. 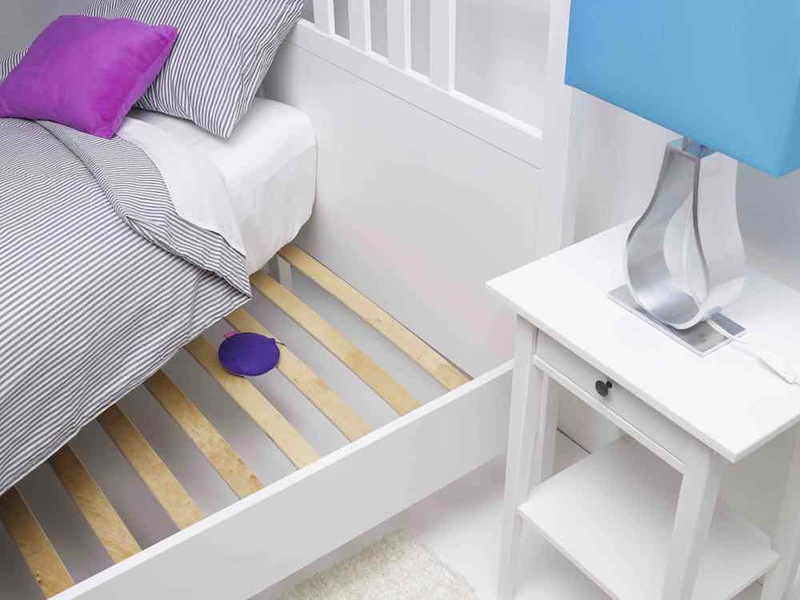 Lully goes under a bed or crib mattress, and vibrates right before your child typically experiences night terrors, preventing them from entering this unhealthy stage of sleep. Personal thoughts: The science behind the Lully appears to be sound, and the fact that it is supported by well-known researchers at Stanford and Yale suggests this may actually be a viable strategy for combatting night terrors. Where to buy the Lully Sleep Guardian: You can buy the Lully Sleep Guardian on the company website or on Amazon for the same price (with free shipping). The problem: Your little one sleeps well when laying on your chest or being held, but wakes up as soon as you lay him or her down. The solution: If holding or co-sleeping is no longer sustainable for you, the Lulla Doll may be worth trying. It imitates the feeling and sounds of being close to a caregiver with its soft material and breathing and heartbeat sounds. Personal thoughts: While I love the idea behind this doll, it would be great if it would stay on for more than 8 hours. But hey, I guess most of us wouldn’t complain if we could get a solid 8-hour stretch!! Where to buy the Lulla Doll: The Lulla Doll appears to currently be available for pre-order only. You can pre-order your Lulla Doll here. The problem: Since babies are used to the safety and security of the womb, transitioning to a wide open space (like a crib or mom and dad’s bed) can feel overwhelming….and this can mean trouble falling asleep or staying asleep. The solution: The DockATot provides a safe, snug space for baby to sleep or lounge, and can reduce the effects of the startle reflex, helping baby sleep longer and more peacefully. It can also be used as tool to help with tummy time, something fussy babies often balk at! 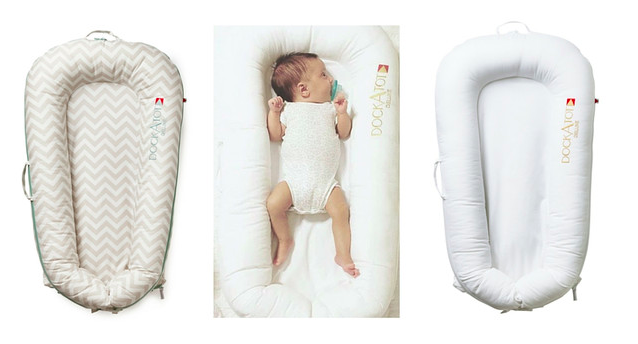 Personal thoughts: I can see the DockATot being an excellent tool to use as part of your bedsharing/cosleeping routine, keeping baby in his own safe area of the bed. Have an older baby or toddler that has trouble sleeping? The DockATot Grand can be used all the way up to 36 months, so may be a good tool to help with the crib to big kid bed transition. Where to buy the DockATot: You can buy the DockATot on the company website (use this link to receive $10 off) or on Amazon for the same price. The problem: Some babies and toddlers, especially those with SPD (Sensory Processing Disorder) may need deep pressure in order to fall asleep. While some parents have good success with weighted blankets, heavy blankets aren’t recommended for infants or young toddlers. The solution: The Baby Sense weighted sleep sac provides deep pressure without the worries of a typical weighted blanket. A pouch inside the sleep sac lets you insert the weighted blanket, ensuring it never goes over baby’s head to impede breathing. Personal thoughts: I absolutely love the idea behind this product! However, the high cost, both for the product and for overseas shipping (it’s made in South Africa) are likely to be prohibitive for most parents. Where to buy the Baby Sense weighted sleep sack: You can buy the Baby Sense weighted sleep sack on the company website. 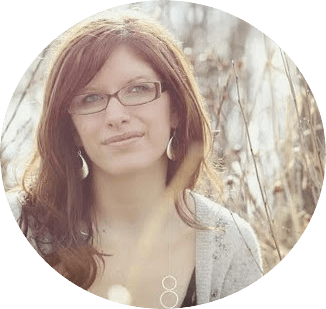 The problem: When your baby (finally!) falls asleep in the car seat or stroller, it can difficult to move him to the bed or crib without waking him up. The solution: The Snugglebundl baby lifting blanket lets you securely wrap and lift your baby so she doesn’t wake up when you move her. It can also be used along with a nursing pillow, allowing you to more easily move your little one if he falls asleep while feeding. Personal thoughts: Where was this product when my kids were little?! I found I was constantly moving them between the swing, crib, nursing pillow and bed, and I imagine this would have been a useful tool for moving them without waking them up. Please note that you shouldn’t use this product in the car. Where to buy the Snugglebundl baby lifting blanket: This product ships directly from Boots.com, a UK-based company. I also found this product on Amazon; while it’s slightly more expensive on Amazon, you’ll likely save on shipping costs if you’re located in the US or Canada. The problem: Some fussy babies like to be rocked in their car seat, baby bouncer or moses basket, but unless those products are battery operated, you may be left doing a lot of rocking! The solution: The Bounceroo (Gerry The Giraffe) is a portable unit that does the rocking for you! It attaches to almost any rocking or bouncing baby product and gently rocks or bounces your baby. Personal thoughts: I’ve been following this product since it was first released. We rocked our daughter to sleep in her car seat and would have loved to have a product like this that would do it automatically! Where to buy the Bounceroo: I believe that due to some copyright issues, the problem has been (temporarily?) discontinued. If you find a place to purchase this product, please send me an email to let me know! Previous Post DIY Sleep Training Resources for High Need Babies Next Post Is It Sensory Processing Disorder (SPD) or High Needs?